From the Blitz to the Burmese Jungle and Beyond. I tend to avoid reading war memoirs as they are often too tragic and horrifying. But I found New Zealander Brian Hennesey’s World War Two memoir a fascinating read, humorous and poignant in parts. From the Blitz to the Burmese Jungle and Beyond is full of anecdotes about the many clever ways he put his instrument repairing skills to good use to assist in the war effort and the people and creatures he met along the way. Brian was born in 1921 in Germany to English parents. Right from a young age he had a fascination with repairing instruments and was fortunate to land a job with one of the world’s most prestigious instrument manufacturers, the Sperry Gyroscope Company. When war broke out, like so many other young men, he enlisted out of a sense of adventure wanting to see something of the rest of the world. Before long he had so impressed his superiors that he became classified as an A1 instrument mechanic and was sent to the Royal Military College of Science. On graduating he became the youngest armament artificer in the army. Aged 21 he travelled overseas with the army, via Durban and Bombay to Allahabad in India. Most of his time in India was spent establishing workshops to service the Indian and British armies’ equipment and training some very talented young men. Brian was fascinated by the local wildlife, the snakes, ugly prehistoric looking lizards and other interesting creatures. He once had his tent invaded by wild animals. In Assam (now part of India) he discovered a lady in his bed when he woke up! To reject her proved to be a bit of a challenge. When posted to Burma he found himself in a small village in the middle of a mosquito infested jungle where many Japanese soldiers lurked. As the war continued Brian was pleased it was going their way but he was also alarmed at the savage loss of life occurring. When would the fighting stop! He developed malaria and severe dysentery. But this did not dim his sense of adventure. He managed to join the occupation troops who went off to Japan. In Kure, close to Hiroshima, he saw the devastation caused by the atomic bomb at first hand eight months after the event. What impressed him was how people were already striving to lead normal lives and making the effort to get back to normality. Brian wanted to help them as much as possible and to establish peaceful and good relations with them. Choosing established author Karen McKenzie to ghost write his memoir considerably contributed to its quality. She felt it was a true privilege to write Brian Hennessy’s extraordinary story of his experiences during WWII. 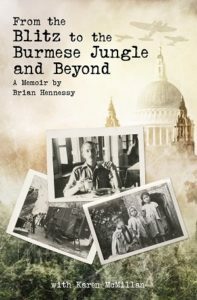 Title: From the Blitz to the Burmese Jungle and Beyond.A Memoir by Brian Hennessy with Karen McMillan. As Rebecca wakes up from a serious head injury she looks up lovingly at her husband. But her memory loss may not be permanent and brushstroke by brushstroke the empty canvas of her mind might be filled in again. What will happen then? Some dark events happened during this decade which contributed to their near break up. Her best friend Julie and her parents all feel Daniel should be up front and reveal these family secrets rather than keeping them from her. If she regains her memory and discovers what he has withheld from her it could destroy their new found happiness. But he can never seem to find the right moment. Rebecca discovers quite quickly that she has had breast cancer and finds a journal she kept over that time. 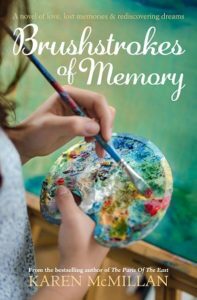 While Brushstrokes of Memory is not an autobiographical novel it does draw on life experiences Karen herself has had. 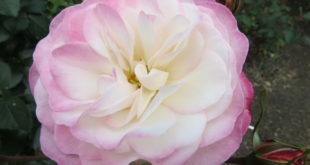 She also had the same breast cancer as Rebecca and battled with it and overcame it in 2011. So the feelings which Rebecca goes through and her experiences which she recorded ring very true. Losing memories of 10 years of her life means a huge adjustment for Rebecca. On a personal level she has to get used to the fact she and Daniel have physically aged by ten years and acquired a few wrinkles. I also enjoyed the New Zealand setting and could imagine why Daniel and Rebecca were keen to exchange their soulless and very expensive house in one part of the North Shore for a smaller rundown old villa with a Pohutakawa tree in the front garden in Devonport. If their relationship does not fall apart Rebecca would be able to have an artist studio there and be able to paint to her hearts’ content. As the story progresses there are many twist and turns in the plot and the tension keeps building. It is certainly a love story with a difference! It’s the kind of book you will want to curl up with in an armchair now that the first chills of autumn are in the air. He took a job as the superintendent of nine village schools in a small city in southwestern Alaska. She also found work as a bicultural co-ordinator. This involved flying to remote village schools to work with local Yup’ik Eskimo people, inspiring an inaugural Spring Festival which culminated in a huge dance celebration. Fearful for her safety they made the decision to relocate to Chevak, a remote Cup’ik Eskimo village in Western Alaska! Although they enjoyed the challenges of managing a busy school it was a challenging environment where temperatures could plummet to minus 80 degrees below freezing and houses be buried by blizzards. When Gary suffered a serious health crisis living far away from emergency care became a life threatening risk and they decided to return to New Zealand. They now live among orchards and vineyards outside Nelson where the winters are mild and the summers long. 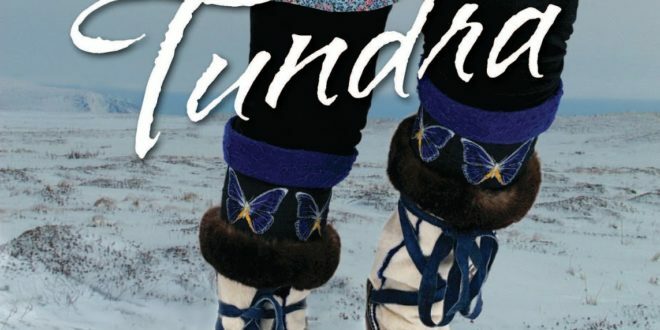 This book would be a good one to tuck into your suitcase if you are planning to go on an Alaskan cruise. As you enjoy the spectacular landscape it would give you a fascinating insight into the culture of the native people who inhabit this land. 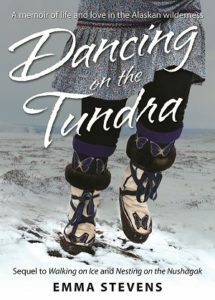 Title: Dancing on the Tundra. Author: Emma Stevens,Published by Emzel Books. RRP $32.99. Reviews by Lyn Potter. Read more by Lyn here.